How Many Years is Law School? The duration it takes to complete your school varies depending on the path and choices the law student makes. Generally it takes 3 years to complete your law degree. One of the major determiners of the duration is the Bachelor’s degree requirement. Any Bachelor’s degree will work for students seeking to study law but certain subject are preferred because they prepare the student for law school. They include philosophy, history, political science and criminal justice just to mention a few. In most cases students select college and university programs that can be completed after 4 to 5 years on full-time basis. Students who prefer part-time learning will most certain spend more time in school. Is Law school hard? Is law school worth it? I have had these questions thrown at me a couple of times. Well, you will need to devote yourself to school work if you have settled for this path. You may be forced to give up on some of the liberties you enjoyed; needless to say your social life will be affected. 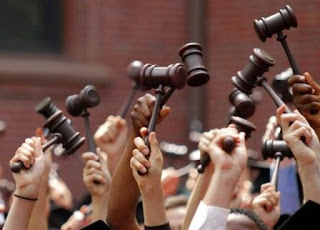 Law schools are resolute when it comes to the period taken to complete your Juris Doctor. If you won’t be able to complete your degree in a timely manner, then you have to be granted prior permission from the university offering the Law degree. If you were to study law from scratch, then you will have to spend somewhere between 5.5 to 7 years. 2.5 to 4 years completing your degree as well as 3 years in the law school program.